It is time for my first update for Finish 6 by Summer. You can see my intro post here. I started the project less than a month ago and I'm feeling pretty good about some products and we will see what happens with the others. I still have 3 months to go so lots of time to see progress. As a reminder, I put in 7 products and hope to finish 6 of them. Some of the product types are overlapping with Finish 5 by Cinco de Mayo (face mask, lipgloss) so I'm not focusing on them as much as I should and there might not be much progress until that project is finished. 1. 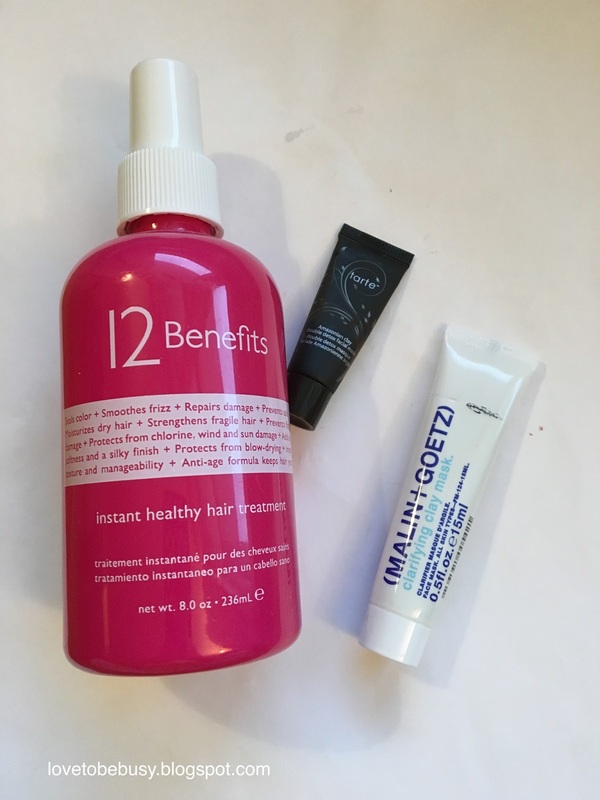 12 Benefits - I can't see through this product to mark it but I have been using it every time I blow dry my hair and it doesn't sound like there is much left. I hope to finish this by the next update. 2. Tarte Mask and Malin and Goetz Mask - These count as 1 product. I haven't used them at all since the last update because I am trying to finish another mask in my other project. 3. Smashbox gloss in limitless - I haven't used this yet but the last Smashbox gloss went pretty quick once I started using it. I am hoping to finish the gloss in my Finish 5 by Cinco de Mayo project soon and start on this one. 4. Tarte Energy lip crayon - I just don't reach for this at all and I need to start! 5. Benefit Professional - This was full when I started and I am down to the mark on the left side of the tube. I hope to have this finished by the next update. 6. Jouer cream blush - I have absolutely no idea why I took the picture with the lid closed. Ugh. However, I use it every day and there is no noticeable progress. I am concentrating on the left side of the product in the hopes to at least hit pan, which was my goal for the project. 7. 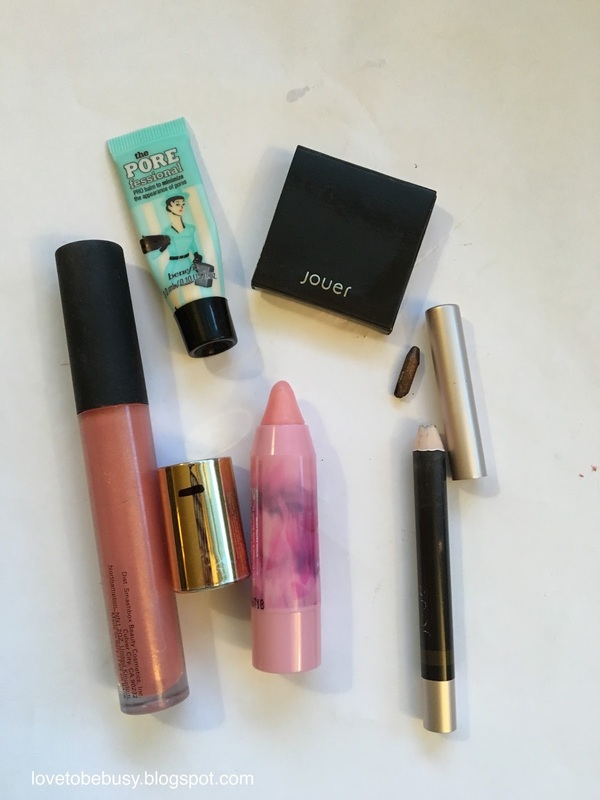 Jouer eyeliner in chocolat - This is done. As you can see, it broke and fell apart. I have gotten a lot of use out of this since I started focusing on it last fall though. I feel good about the amount of product I finished before it completely dried out. Not too much progress to report. One item is considered finished and I think the primer and hair product will both be done by the next update so that is great! *All opinions are my own. All products were purchased by me. I was not compensated for this post.